ConVene is a co-working social retail office in Dallas, Texas that supports co-working startup companies by day and opens up as an event space to display products in the evening. Dallas is located in the Blackland Prarie region of Texas, which features a unique terrain developed by a network of vertisols. Vertisols are soils that shrink and swell according to water content. When dry, the soils develop a network of large, deep cracks resulting in a fragmented pattern along the landscape. ConVene takes inspiration from the variable nature of vertisols in a sustainable, flexible design that shifts to accommodate a co-working environment during the day and an event space at night. Vertisols naturally shift along cracks in the landscape. At ConVene, the floor plan shifts along two primary axes to define circulation and a change in function. Work styles are represented by the different layers of Vertisol soil which cycle from bottom to top. Ceiling planes are layered at varying heights according to the type of activity occurring below. Heads-down work has a low ceiling height while social, high-traffic areas are higher. Workspace shifts to become more active and social when traveling through the plan. Stadium seating in the North-East corner of the floor allows for casual collaboration at a variety of heights. A split-complementary color scheme of blue, green, and warm wood tones is consistent throughout the space. 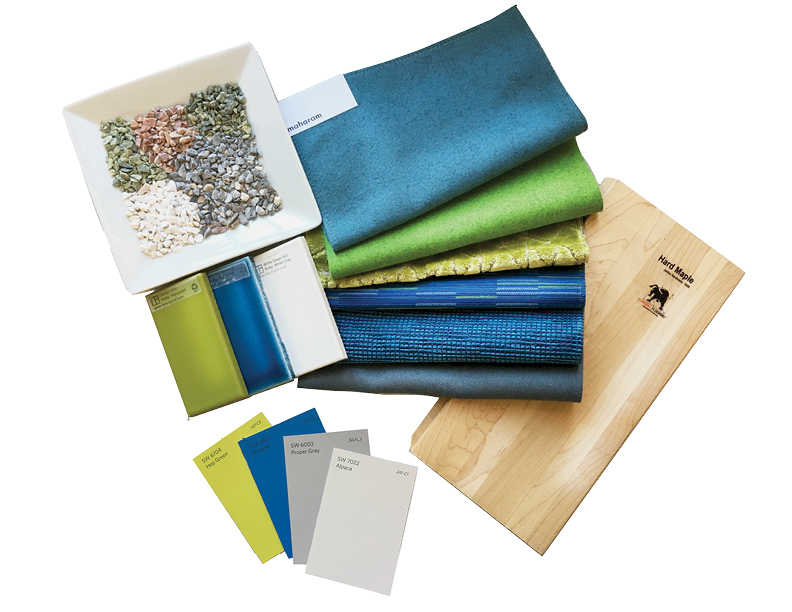 Specified materials are all environmentally conscious to meet the LEED standards.